Hiring an arborist is not a tough task. However, hiring a professional and dedicated arborist can be a little tough if you are doing the job for the first time. There are lots of companies in the Brisbane Southside area that claim to offer you the best tree service. Nonetheless, it is needless to say that you cannot expect similar quality of service from all of them. The service that can be offered by a certified and experienced arborist can never be provided by an amateur one. Thus, you must know how to check the experience and efficiency of an arborist before hiring him for your trees. There are some questions that you should ask to him at the time of hiring the service to understand the skill and proficiency. For how many years they have been offering this service? This question will make you able to understand the level of experience of the arborist. The more time he spends with trees, the better he can understand their patterns. Thus, you can expect a better service from an experienced one. What are the instruments he uses in the field? That question will let you know how skilled and efficient the tree expert is. Only a well aware tree surgeon can know about the modern sets of equipment that are used to cut, trim or remove various types of trees. Is he a certified arborist? A professional arborist needs to spend three years in this field as an active tree expert to get the certification from the International Society of Arboriculture. That means he must spend minimum 3 years in this field to get the certification from ISA. What are the safety measures he follows during his work? This is very vital to know because the safety of your property and your loved ones depends on that. If the professional does not apply the security measures properly, then accidents can happen anytime during the work. Does he have proper insurance? It is always advisable to hire insured arborists only. Since the job involves a lot of risks; thus, you should check whether the arborist has the insurance coverage to protect him or not. Otherwise, you may need to spend the money in case of injuries or death. Is he giving a written estimate of cost for the job? 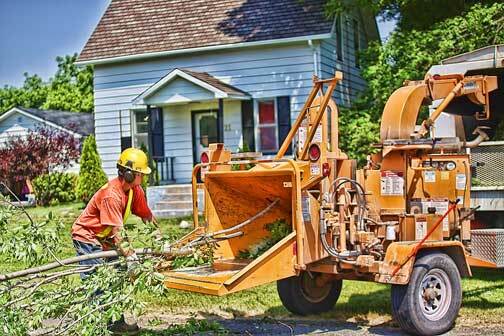 It is also very vital matter to ask the professional arborist before you hire the service. Make sure that the tree expert offers you a written estimate of the total cost of the job before he starts working in your landscape. When you hire a professional and efficient arborist Brisbane Southside after getting some satisfactory answers to all these questions, then you can easily rely on the same and hire his service for your trees.